For new-entrant air carrier applicants Sextant Readings provides project management during the FAA’s Air Carrier certification process . For 14 CFR Part 121, we will develop your business plan, define project milestones according to the FAA’s current Certification Program Document, and provide end-to-end support throughout all phases of certification. For existing certificate holders, Sextant Readings provides a wide range of operations and airworthiness expertise to support changes to a business model. Introducing new aircraft, changes to areas of operation, contract maintenance, and certificate merging are just a few examples of the dynamics of the aviation industry. Sextant Readings provides support to all certificate holders by applying effective change management during these challenging events. For new or existing operators under 14 CFR Part 125, 135, and Part 91 Subpart K, our System Safety experts have a formula for applying, documenting, and training to new standards in operations and fleet management. 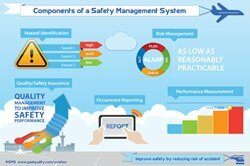 SMS is comprised of essentially four interlocking components: Safety Policy, Safety Risk Assessment, Safety Assurance, and Safety Promotion. Safety Policy establishes senior management’s commitment to continually improve safety. This commitment defines the wherewithal, methods, processes, and organizational structure needed to meet the required safety goals. Safety Risk Management evaluates then implements risk controls based upon what the organization considers an acceptable level of risk to be. This component documents and assesses existing risk control measures. Safety Assurance serves to measure the effectiveness of the risk control strategies that have been implemented, along with the identification of developing hazards. The assurance process ensures closed-loop processes are in place to support the Policy. Safety Promotion consists of the adoption throughout the organization of the principles of safety management, and includes training, communication, and other associated initiatives necessary to create and maintain a positive safety culture in the organization. Sextant Readings brings the team, processes, software and services together to deliver – with you – a unique and resolute Safety Management culture. We bring the required processes and procedures, the information management component and the application of best practices in Safety that enable your organization to adopt and live Safety Management. Built on Quality Management successes, our approach is to extend traditional Quality practices to living a culture of Safety in all aspects of your organization. An SMS Gap Analysis is used to determine current strengths and deficiencies with the certificate holder’s programs in place to conform to Regulatory requirements, System Safety principals and SMS guidelines (FAA). 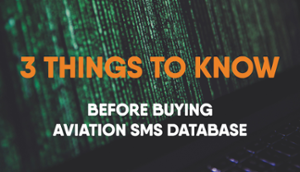 The SMS gap Analysis is based on the FAA and ICAO SMS Gap Analysis checklist and/or organizational checklists like ACSF or IS-BAO to help facilitate the implementation of the SMS in accordance with the FAA Guidance, ICAO Annex 6 Standards and Recommended Practices (SARPs) and IS-BAO SMS Guidelines. Once the Gap Analysis is completed and fully documented, items identified as missing or deficient will form an action plan within the overall the SMS implementation plan. Each item will be assessed to determine how to create or modify policies, procedures and/or processes in order to implement a robust SMS. Sextant Readings professional consultants will lead you through a tailored gap assessment and incorporate the assessment as part of your SMS programs. We focus on all necessary regulatory tasks associated with initiating the certification process through helping to ensure that the air carriers’ goal of commencing operations without delay. We use sound project management principles, including the development of an comprehensive Project Plan, the assignment of key tasks to Sextant Readings staff, and consultations with the air carrier’s 14 CFR Part 119 management team. We include within the project plan the steps and tasks to launch certification efforts with the FAA, acquire key management personnel, and build the foundation for airline-operations infrastructure and process design. Preparing an air carrier for certification includes integrating system safety principles into airline organizations. Certification efforts can be broadly channeled into two distinct paths, one focusing on economic fitness and the other on safety. Sextant Readings consulting staff is focused on synchronizing both pathways with the Department of Transportation (DOT), Office of the Secretary of Transportation and the FAA.